In hot pursuit of purpose, Alexander Fairchild’s ‘Too Young for New York’ EP captures familiar insecurities through the lens of warm, intimate rock n’ roll. There’s something enduring in Alexander Fairchild’s pursuit of purpose: Lost, exposed and uncertain, he’s striving to understand his place in the world just like the rest of us. Where does this path lead? Why don’t I feel content? With a heavy but hopeful heart, Fairchild’s new EP Too Young for New York captures relatable feelings of longing and displacement through the lens of warm, intimate rock n’ roll. 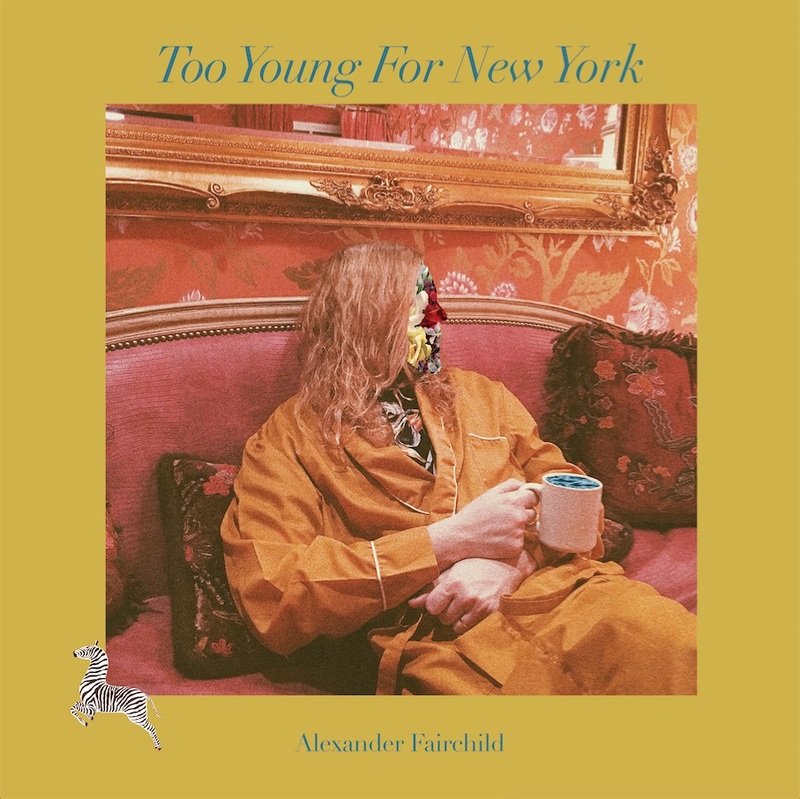 Atwood Magazine is proud to be premiering Alexander Fairchild’s Too Young for New York EP, out 1/26/2018 via Tooth & Nail Records. The sophomore collection from the Toronto-born, New York City indie rocker finds Fairchild following up to his sprawling 2013 debut album with a tightly-bound encapsulation of strain and divide. The heavy, laid-back “Bogart and Bacall” opens the EP with a dark depiction of heartfelt anxiety. Fairchild sings in a self-depracating manner; he is a victim to his own feelings, trapped in his own shell and as a result, suffering from his own unfulfilled desires and emotions. That femme focus continues in “Red Bikini,” where Fairchild dotes over his girlfriend with beachy, feelgood vibes. We find Fairchild guided strongly by instinct and attraction, whipping up a marvelous cloud of Southern-inflected rock sound through which he unleashed his often turbulent emotions. Fairchild paints himself as a wannabe wanderer, a man whose home doesn’t feel like home. We all get lost from time to time, but few artists manage to zero in on this sensation with such humility and sensitivity. 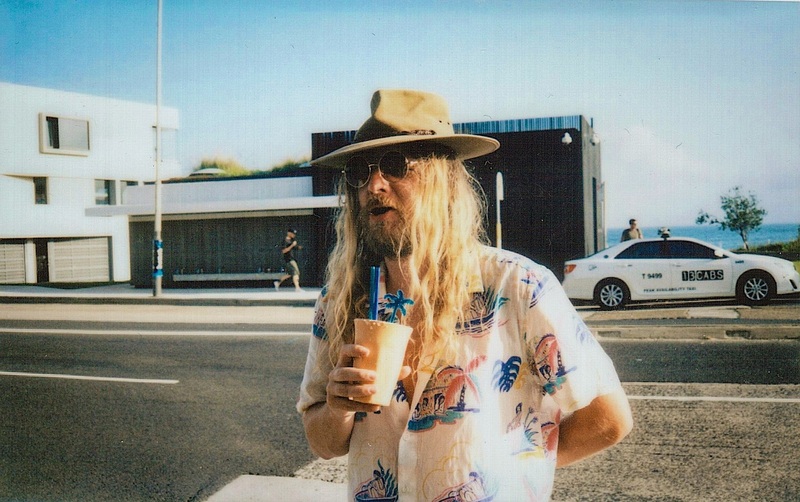 Through his own brutally honest lyrics, Alexander Fairchild creates for his listeners a world of tension and grief, where the desire to know one’s purpose and place in life is paramount. The incredibly catchy, Killers-esque “Arizona” continues Fairchild’s motif of searching for that radiant something. A blown-up, stadium-sized anthem, the track is a dreamy allusion to that faraway ‘desert’ we’ve now heard so much about. We get a better sense, through vivid memories of Fairchild’s past, for where exactly he feels at home, and what it is about his current position that haunts him so. Still, he’s asking questions that have no immediate answers. Too Young For New York ends on a high note through “Heart Shaped Pool,” an exuberant proclamation that takes us back to the opening songs’ idealization and worship of a romantic partner. Fairchild’s affection and glorification instills an infectious warmth that sends us out of our reverie with a smile. Though his own personal problems remain unresolved, we get the sense that part of thrill, at least for Alexander Fairchild, comes from chasing that dream: He may be adrift, but as long as he’s moving towards something, he’s got something to work for and believe in. Too Young for New York is out tomorrow, 1/26/2018 via Tooth & Nail Records. Experience the full record via our exclusive stream, and peek inside Alexander Fairchild’s Too Young for New York EP with Atwood Magazine as he provides a track-by-track take on his latest release! Bogart and Bacall—the iconic film noir duo. Winter in New York is a kind of film noir in and of itself—dark, cold, windy. I wanted a moody “Jesse’s girl” vibe with some angst. Too Young For New York is about dealing with the feelings of inadequacy and anxiety by stopping to smell the roses. It’s a bit dramatic but that’s how the feels feel. Arizona is about non-committal (hi, New York) and wild memories from non-committal; eventually you find yourself at the precipice of “I really like this person—wait I love this person.” And that’s when you get scared. And worried. And then you think about how everything has been so good.